This reissue, first published in 1986, argues that there is a radical difference between the use of the term ‘Regional Security’ when applied to the Third World rather than the developed world. 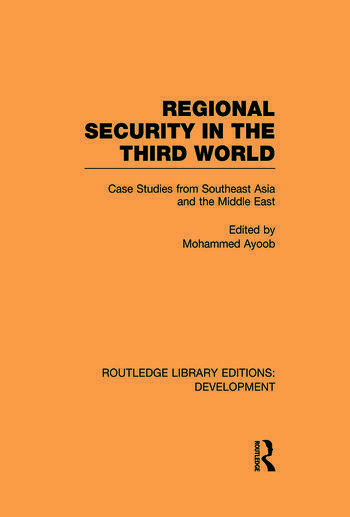 It explores the concept of regional security and shows how items which make for regional security in the developed world – such as strong cohesive states or the linking of a state’s security to the international security system – are absent in the Third World. It goes on to analyse these arguments in relation to a series of case studies from the Middle East and South-East Asia, arguing that security in Third World states often means security for the prevailing regime, which is often narrowly based, and which sees clinging to power as its main objective. It concludes by examining organisations such as the ASEAN and the Arab League which were set up to strengthen regional security and attempts to assess the successes and failures of these organisations.